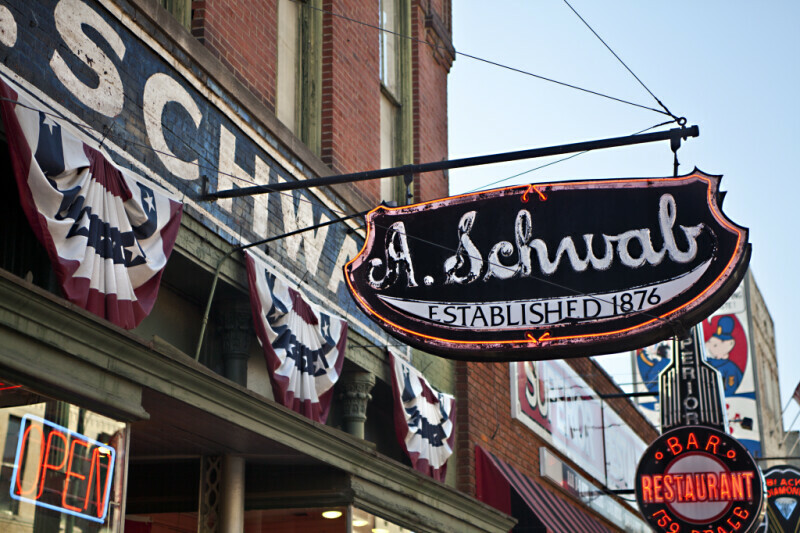 This neon sign is mounted on an exterior wall of the A. Schwab store, in in Memphis, Tennessee. The sign indicates that the store was founded in 1876. The brick building is listed on the National Register of Historic Places, as a contributing property, in the Beale Street Historic District.